You heard it right. One ticket* can buy you a multitude of happiness in the form of food, drinks** (jee haan! You can choose from Premium Top Shelf drinks, Party Flavors, etc. ), music, dance, midnight fireworks welcoming the New Year, Balloon drop, and plenty more. 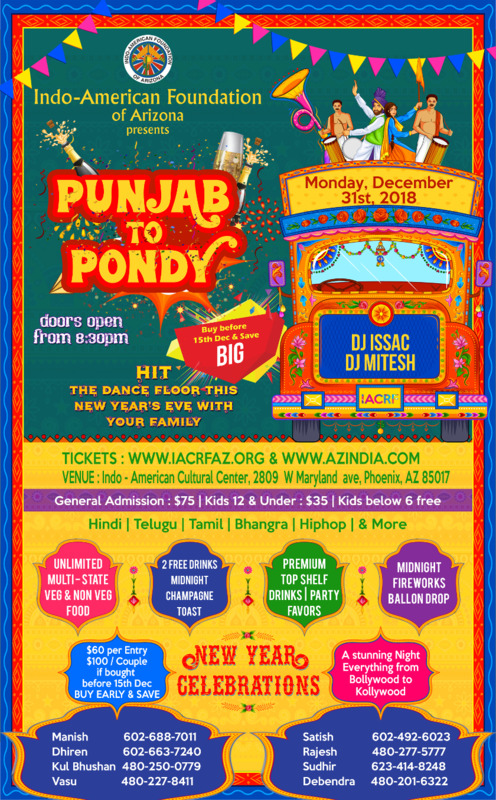 Let’s Enjoy Guilt free to Raise funds for Indo-American Foundation of Arizona ...IACRF. It will sell out quickly !! !